A hybrid, firm-feel mattress, the Bella Mattress sports a combination of 6" caliber edge 660 coils wrapped in layers of plush memory foam. 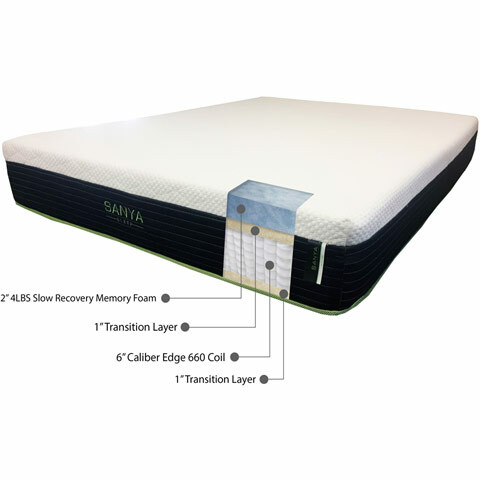 Bella features a top layer of 2" thick 4 pound slow recovery memory foam - the stuff that made memory foam so popular - in an "open cell" formulation. The result is a high-quality mattress with exceptional contouring with greater airflow and temperature regulation than you could find in a low-quality mattress. 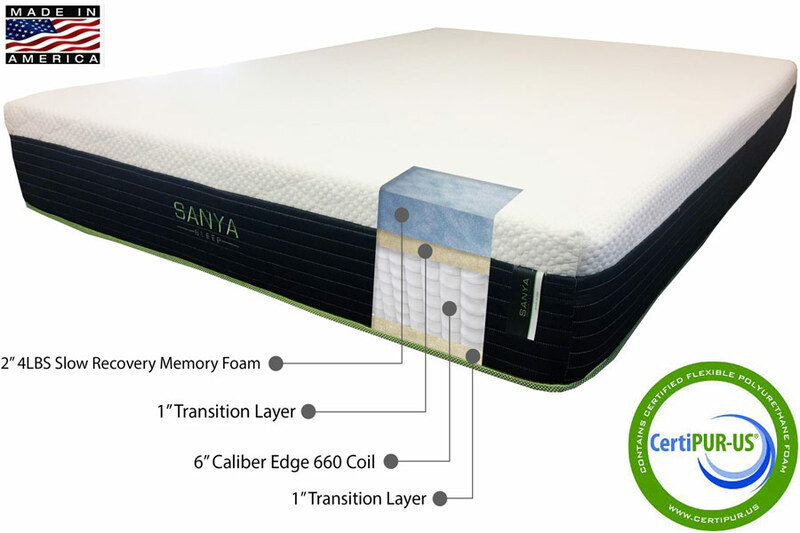 A 1" layer of transition foam encases wrapped innerspring coils, giving the mattress base you're familiar with, and the comfort of memory foam. Made in the USA, Bella is your sleep solution!